While many of you parents out there are fretting about transitioning your infant from the bassinet or family bed to a crib, and others are worrying about moving your toddler to a toddler bed or twin bed, and still others are rushing one kid out of a current bedding arrangement to accommodate a newer sibling, we here in suburban Atlanta are taking our own, sweet time. You see, our nearly 6-year-old, who is actually very tall for her age, still sleeps, quite happily, in a toddler bed. And our 3-year-old? She sleeps in the very same place she's slept since birth –- a Pack 'n Play. That's right, our "baby" never even made it to a real crib! And while neither one of our daughters can fully stretch out (please don't call child protective services on us), they love rolling onto their sides, crunching their bodies up, and falling blissfully into deep slumber. Their bedding arrangements are not their fault. You see, my husband and I are just a little behind on things, that's all. Now that we've moved for the fourth and final time in four months, we've finally purchased Big Sister a full-size bed. And as soon as we get around to putting it together, and buy the mattresses to go with it, our eldest will at last be able to rest her head in a bed that fits her body. As soon as that transition takes place, our 3-year-old will be presented with the opportunity of sleeping in her sister's old toddler bed. But because our little one is pretty attached to what she affectionately calls her "cribby," we’ve no intention of forcing the transition. Instead, we'll set it up in her room next to the Pack 'n Play, and let her decide what kind of sleeping arrangement she prefers. It's a bit of delayed bedtime parenting on our part, but neither my husband nor I can complain. In the nearly six years we've been parents, we've almost never had difficulty getting either child to bed. And for the past few years, once in bed, we don't hear or see them for the next 12 hours. Now that's what I call a good night's sleep. Anjali Enjeti-Sydow lives near Atlanta with her husband and two young girls. She looks forward to the day when she can make the transition from a queen-sized bed to a California king. One year ago, the unthinkable happened. After two healthy ultrasounds, great weight gain, and stellar blood work, I discovered at a routine OB appointment that at almost 14 weeks pregnant, my baby had died. Two months later, I became pregnant again and once again miscarried. With the support of family and friends, I've been able to move through the once profound sadness and despair of my losses. But while time does heal wounds, it certainly doesn't take away the pain completely, nor does it make me forget about what might have been. And I am certainly not alone. According to the American Pregnancy Association, 10-25% of all clinically-recognized pregnancies end in miscarriage, with many more pregnancies ending before a woman even knows she is pregnant. Moreover, according to a February 21, 2007 report of the National Center for Health Statistics, in 2002, 25,000 fetal deaths occurred after 20 weeks gestation (also known as stillbirths), and in 2004, over 18,000 babies died within the first 28 days of their lives. That's a lot of broken-hearted families. And since many feel ashamed and blameworthy after their losses, that's a lot of parents suffering in silence. But there are places to go for help with your grief. Share Pregnancy Loss and Infant Support Group, Inc. is a national organization that encourages those who have experienced a loss to honor their babies by lighting a candle or sharing their stories on October 15, Pregnancy and Infant Loss Day. On their Web site, "Share" also offers ideas for creating remembrances of lost pregnancies or babies. There are other local support groups, as well as Internet message boards where you can gather with others who suffer the same kind of pain. I've come a long way since my own miscarriages, but I still have a long way to go. October is Pregnancy and Infant Loss Awareness Month, so if you know someone who has suffered a miscarriage, stillbirth, or the death of an infant, please take some time this month to call or send them a brief note telling them that you are thinking of them. Give them the gift, too, of letting them talk about their loss if they want to. There's no better way to begin healing than by breaking the silence. 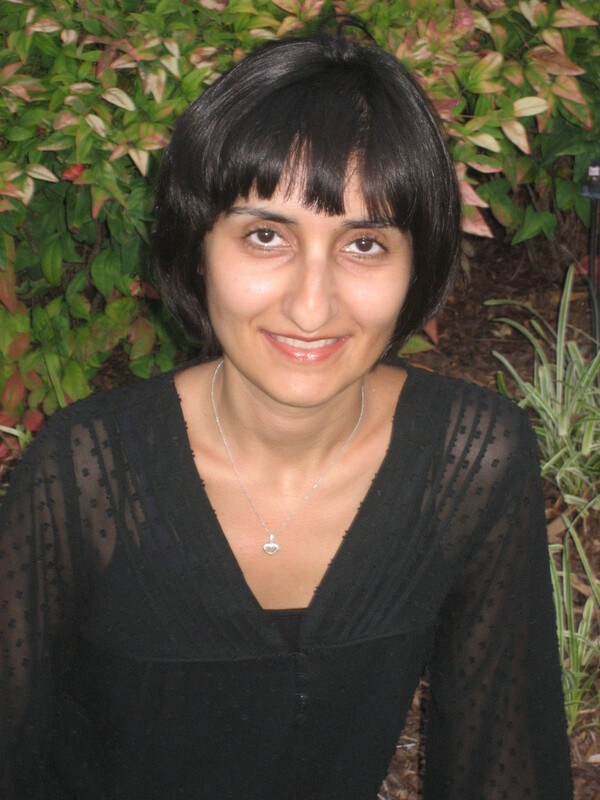 Anjali Enjeti-Sydow lives near Atlanta with her husband and two young girls. Her fingers and toes are crossed for the baby she's expecting in March. Two weeks before my daughter Mira started Kindergarten, we relocated to the Atlanta, Georgia area. There wasn't a lot of time to get her mentally prepared for the many nuances of real, full-day school. But Mira surprised us all by transitioning seamlessly. Unfortunately, I have not fared so well. As a Kindergarten parent, I seem to be doing just about everything wrong. Here's the regrettable list so far, and school's been in session for only two weeks. 1. I got turned around, ended up in horrible traffic, and made Mira late for her first day of school. We were only five minutes late, but still, there's nothing like starting out the school year with a tardy. 2. Half of the paperwork I filled out with Mira's contact information was incorrect. I wrote down the wrong ZIP code. I also gave them the wrong cell phone number, and incorrectly filled out the emergency information card. 3. My husband was running late from work, so I ended up being 20 minutes late for Parent Night. Initially, I didn't think this was a big deal. Imagine my surprise when I was the only person walking in late to a darkened room filled with eager parents concentrating on a Power Point presentation about the curriculum. 4. Because I was late, all of the good slots for parent-teacher conferences were taken. I now have a conference time slot on an afternoon during which I have no child care for my kids. 5. According to a recent mailing, I've been packing Mira's snack incorrectly since the beginning of the school year. 6. I've called one of the other parents by the wrong name. 7. And finally, on Day 3, I completely ruined the name tag that Mira was supposed to wear during the first two weeks of school, by accidentally putting it in the washing machine. Mira's teachers have been kind and understanding of my missteps, but my big fear is that they'll hold back my daughter next year, not because she's unprepared for the first grade, but because her mother can't seem to fulfill the duties of a Kindergarten parent! Anjali Enjeti-Sydow lives in suburban Atlanta with her husband and two girls. She is currently working on punctuality and following directions. About two months ago, Leela, my nearly 3-year old daughter known for her fearlessness and risk-taking, started becoming afraid of nearly everything. Fire trucks. Tall weeds. Bees. Lawnmowers. The vacuum cleaner. Things that are too hot. Things that are too cold. Things that suddenly ring or beep. Birds. Squirrels. Wind, even. But her worst fear, the one that has been quite difficult for me in particular, is her fear of automatically flushing toilets. Recently, we met a friend and her children at a local restaurant for dinner. Halfway through the meal, Leela said she needed to use the potty. I walked her into the bathroom, and before I got her pants down, the toilet flushed. She jumped into my arms and screamed so loudly I'm sure the entire restaurant could hear it, "No, mommy, I don't want to go on the mean potty! That's a MEAN potty!" I tried to calm her down. I explained that it was actually a nice potty because it flushed by itself so we didn't have to. I then demonstrated by using the potty myself. And when I got up, the toilet flushed. Leela's eyes widened like a deer's in headlights. She scurried to the bathroom door and began banging on it to get out. We headed back out to our booth. Leela again declared that she needed to use the potty (though this time more urgently). I asked my friend to watch Mira, picked Leela up, and headed out into the mall in search of a self-flushing toilet. While perched my hip, Leela yelled loudly enough for the entire mall to hear, "Mommy! The pee's gonna come out! Find a nice potty NOW!" I speed-walked all the way to Macy's, skillfully avoiding the free perfume samples on my way to the escalator. Suddenly, Leela dug her heals into my back. "No Mommy! Not the 'skater! I don't want to go up the 'skater! It's too scary!" "What? Since when are you afraid of escalators?" I asked, panting and out of breath. Leela buried her face into my neck and began sobbing. So I picked up the pace, weaving in and out of the clothes racks to the back of the store. When we reached the elevator, I pushed the "up" button and leaned over to put her down. "No-no-no-Mommy! I don't want to touch the floor of the el-vator!" Oh, my. This was a new fear, too. Leela tightened her kung fu grip on me, and when the elevator doors opened, we ran inside. At the third floor, we stepped out and headed to the bathrooms. Please don't let there be automatic flushers, I implored. I pushed open a stall door. Sure enough, the toilet was equipped with a sensor. This time, though, I had a plan. I had Leela's back to the potty, and quickly removed her clothing so we could get her on and going before the flush. Just as I was about to sit her down, Leela turned her head and noticed the sensor. "NONONONONONONONONO! This is a mean potty, too! No, Mommy!" And she threw her body against the stall door and propelled herself out of the bathroom. Eventually, we made it back to the restaurant and our table, where my friend gave me a "did-she-go?" look. I shook my head. Leela ate her dessert with her legs tightly crossed. I was just thankful that I had extra pairs of underwear and shorts in my bag. Miraculously, Leela made it home dry. When we entered the house, she took off her shoes and marched to the bathroom. As I set down my keys, I could hear her move the stool in front of the toilet, place her potty seat securely on top, and sit down. "We have a much nicer potty at home," she called out to me. "This one doesn't talk back!" Anjali lives in suburban Philadelphia with her husband and two girls. She fears spiders, dust bunnies, and bounced checks. But her greatest fear is being trapped in a building with Leela, with nothing but automatically flushing toilets. The thing about my miscarriage is that I had to find a way to cope with not only the grief surrounding the loss of life, but the loss of that excited anticipation that begins unfolding soon after the pink line appears. When I first realized I was pregnant, my life became a flash-forward of images of all that was to come: I imagined my husband and I purchasing a new, bigger car to carry what would have been our family of five; I foresaw holding two children by the hand, and wearing one in a sling as we walked by our favorite animals at the zoo. I played out scenarios of when and where I'd be when I gave birth, and saw Mira and Leela coming to visit me at the hospital with crayon-colored cards they made themselves. I could picture my girls handing me diapers, and playing peek-a-boo over an infant car seat that carried a cooing baby. And whenever I walked by a framed picture of my two daughters on a table, I would think to myself: Hmmm, how shall I have them pose when there's three of them? These dancing images flooded my head. And then, after three months of a pregnancy followed by a heartwrenching D & C, it was as if someone was going around with a needle and popping those bubbled captions above my head. They simply vanished, one by one. And then the next frame of the comic strip, which was supposed to continue the story, was simply blank. On what would have been my "due date," I could feel something slightly ease up -- that haunting anticipation that has plagued me for the last six months. From the D & C last September, until now, I have felt trapped in the emotional gestation of what would have been; the weeks of a pregnancy that hadn't been mine for some time. And so, the passage of winter is a different kind of ending for me, but an ending, nonetheless. Or maybe, it's really just the beginning of a new kind of story, that needs a different sort of script. Very recently, I weaned my two-and-a half year old. This mother, who before children, cringed upon hearing stories of mothers who nursed beyond the first few months of life, has now nursed two children beyond the age of two. For the most part, I found nursing an infant to be an exhausting and unrewarding undertaking. I would crack under the mental stress of knowing that I was my child's sole source of nutrition and comfort (neither of my two would take bottles or pacifiers), and nursing for as long as 40 minutes at a time bored me to tears. I was then taken by complete surprise when I found myself tearing up at the mere thought of weaning my 10-month-old daughter. Soon thereafter, I began meeting more and more women who were still going strong after their nursling's first birthday. They introduced me to all the wonderful benefits of toddler nursing: Terrible twos tantrum? Nurse! Separation anxiety? Illness? Unexplained irritations with life? Nurse, nurse, nurse! Just as it had been the magic elixir for the woes of infancy, nursing had proved to be just as an effective tool for all of the challenges presented by toddlerhood. I recently went out to dinner with several other mothers, most of whom I did not know. The subject of nursing was brought up, and the consensus was that when babies are walking and talking, it's time to give up breastfeeding. I listened to them, thought of all the wonderful memories I have of nursing a child old enough to tell me how much nursing means to her, and smiled. I wouldn't have missed out on toddler nursing for the world. Anjali Enjeti-Sydow is a suburban Philadelphia mother of two young girls, who is happy to have her chest back to herself. About 30 years ago, a woman I'll call Carlene was home taking care of her children when she began feeling sharp pains in her abdomen. A few minutes later, Carlene's pains became excruciating. When she felt a strange sensation between her legs, Carlene gathered up all her strength and made her way to the bathroom. Moments later, in the toilet, she gave birth to a very, very premature baby. She screamed and sobbed, grabbed the nearest towel, picked up her baby from the bloody water, and carefully swaddled it. She then grabbed the keys, dropped her other children off with the neighbors, and sped to the emergency room. Once at the hospital, Carlene pulled aside the nearest doctor by the sleeve of his coat, and showed him the bundle cradled in her arms. He looked down at the still baby and told her, very briskly and coldly, that there was nothing they could do. He sent her home. Carlene, no longer pregnant, drove home with the child in her lap. When she reached home, she walked around the house to the backyard, and buried her child. Other than her husband, she never told a soul about her loss. Two months ago, nearly 14 weeks pregnant, I suffered my own miscarriage. I was shocked to learn at a routine OB visit that the baby's heart, which I had seen a few weeks earlier on ultrasound, was no longer beating. Three days later, I had a D & E to remove the baby. Since then, I've been writing about it on my own blog. I write about how I've been dealing with the shock and the grief, and my bouts with temporary insanity and insomnia. I write about the good days and the bad days, and the truly horrible days. Writing about my miscarriage has helped me work though it. It has given me a means to cope. It has helped me make some sense out of something that is senseless. Something quite unexpected happened once I started blogging about my miscarriage. I started hearing from several mothers each day who've experienced pregnancy losses and told hardly anyone. They kept their pain from their siblings, their parents, their friends and their other children. I was surprised to learn that my own friends, who I interact with on a regular basis, had also had miscarriages during various periods of their reproductive lives. Some of them had several. I have to wonder: Are we any more open about our pregnancy losses now than we were a few decades ago? Is society any more sympathetic? Do most of us still suffer in silence? In this day, when we know so much about fertility and early pregnancy with prenatal screening, in this age when talk therapy is no longer taboo, are we any more honest about our babies that were never born? Soon after my miscarriage, Carlene received a phone call from her sister. Her sister informed her about my own pregnancy and subsequent loss. Carlene was speechless for a few moments, and then broke down sobbing on the phone. Her sister was puzzled. Carlene had only met me once before, years ago; why, then, was she so affected? Carlene then confessed her secret, one that she had carried for years and hid from even her closest confidante. She told her sister the story of the baby she lost. She talked about the cruel emergency room doctor who sent her home without any help or condolences. She talked about the backyard burial. She talked about how in her heart, all these years later, she still carried the guilt and the grief and the shame of it all. Carlene's experience saddened me beyond words, but it is a lesson, I think, to us all. These secrets we keep about babies we never got to hold, or nurse, or rock to sleep, or dress -- these secrets are worth sharing with others. These losses are real. They affect who we are as mothers. They are a part of our identity and of our family, and of our lives. While I'm no psychologist, I believe that by sharing with others our pain and our grief, we allow ourselves to finally begin the healing process. Moreover, by telling the stories of our much-loved children who never came to be, we bring comfort, and perhaps even some closure, to other mothers who've endured the same. Anjali is a stay-at-home mom (and hopeful future bestselling author) who lives in suburban Philadelphia with her husband and two young girls.